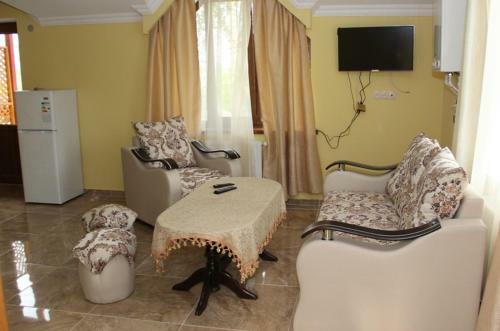 Guest house Lori Hotel is ideally located on 1 Antarayin Street in Arzakan just in 3.2 km from the centre. The closest Zvartnots International Airport is located in 39.8 km from the guest house. 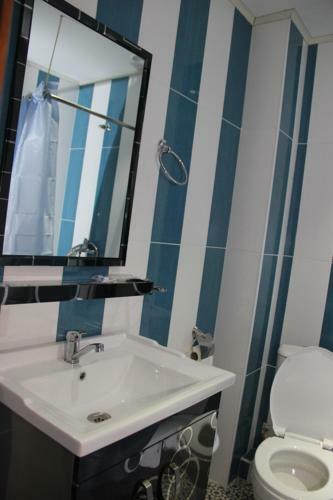 Among a full range of guest amenities are: convenient airport transfer, bBQ facilities, internet services, daily maid service, parking lot, nice bar, hiking, comfortable non-smoking rooms. Accepting cash-only payments. For you, it is proposed 2 rooms in the guest house. 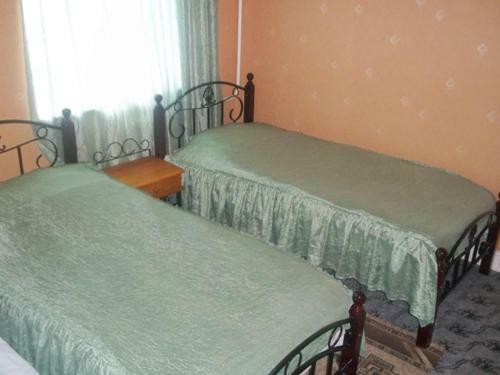 The accommodation is presented with the following categories of rooms: double, family. Every guest can use facilities such as safety deposit box, refrigerator, free toiletries, electric kettle, dining table, clothes rack, extra long beds (> 2 metres). There are rooms with mountain view, landmark view and. Accommodation also provides unique facilities for guests: patio. This family room has a stovetop, seating area and patio.